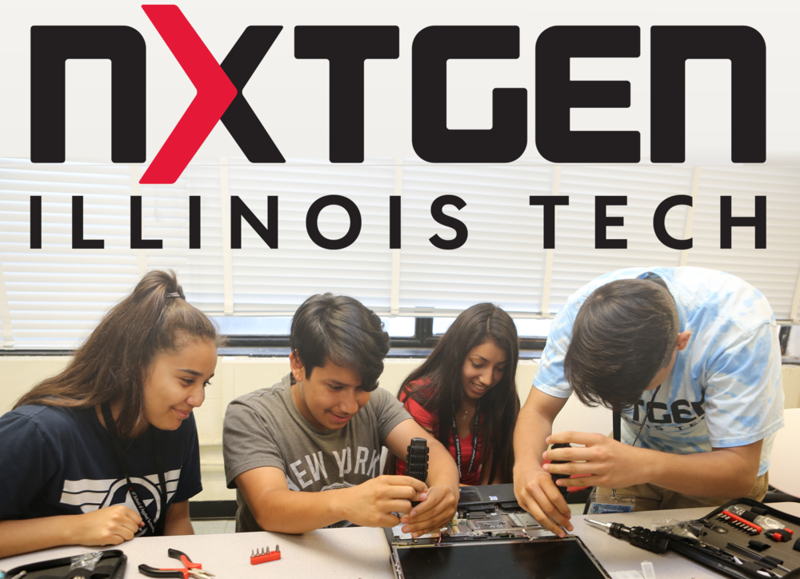 The NxtGen High School Summer Program, offered by the School of Applied Technology at Illinois Institute of Technology (Illinois Tech), is for high school students who are interested in learning more about Information Technology (IT), computing and next generation technologies. NxtGen courses offer a glimpse of the future of the internet, computing, programming, networking, and the next wave of emerging technologies. Courses are hands-on and involve interactive projects with support from Illinois Tech faculty, staff and select students. The program is appropriate for beginning and advanced high school sophomores, juniors and seniors (and technically advanced incoming freshmen with Illinois Tech staff approval). Previous technology courses or experience is helpful but not required. We offer a variety of courses appropriate for students with differing levels of experience. Courses are offered for learning purposes and fun and are not graded. Courses are taught in an interactive environment with many hand-on activites. Courses meet from 9:30 am to 4:00 pm with a break for lunch. Lunch will be provided for NxtGen students. Please let us know about any food allergies or dietary restrictions.